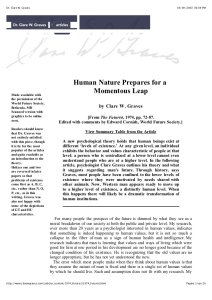 Human Nature Prepares For A Momentous Leap are the exact words used by Clare Graves in the title of his famous article in The Futurist in which he referred to the transition from the Green to the Yellow value system. His research data revealed that people who look and act from a Yellow value system show distinctly different characteristics than people who were centered in another value system. Firstly, he noticed that a Yellow orientated lifestyle is much more free than a lifestyle in any of the other value systems. Yellow oriented people seemed to move and express themselves completely free and independent of their life environment. Contrary to people in other value systems, they were not afraid anymore to be rejected and they didn’t fear other people’s or God’s judgment. They didn’t show the need to make an impression on others and to reach the top at the cost of everything. They also didn’t strive anymore for absolute truths and they didn’t have the need to belong to something anymore. In short: these were people without irrational fears, compulsive needs and compulsive behaviors. However, this Yellow freedom doesn’t mean that people in the Yellow value system are not connected to their environment. On the contrary, Yellow oriented people are very much involved and show a lot of compassion. The biggest difference with people from other value systems is that their life environment is not fearfully or compulsively leading them. Do you want to learn more about Yellow? Please listen to the original audiotapes by Graves about Yellow. (From minute 16:31 to 20:49) or directly navigate to the page about the Yellow value system. Graves was literally amazed by his own results. He foresaw that humanity had arrived at a mayor turning point in consciousness. This explains his “Momentous Leap” quote. He predicted that humanity would undergo a fundamental paradigm shift in thinking. From thinking in scarcity and poverty (the first value systems from Beige to Green are continuously preoccupied to save themselves from scarcity), the future individual would only think in terms of abundance and affluence (Yellow and beyond). Or, in other words, we predicted a shift from poverty consciousness towards affluence consciousness. While studying his data, Graves also noticed some striking similarities between the Yellow value system and the Beige value system. 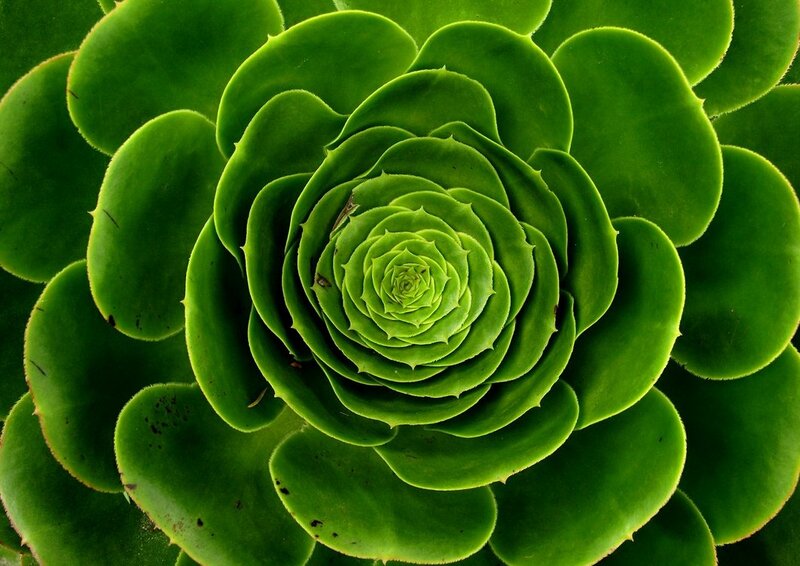 The big difference between both value systems is the level of consciousness and their contexts. Both systems are focused on survival. Beige is mainly concerned with individual survival, Yellow, however, is concerned with the survival of life as a whole on a planetary and cosmic level (thus making the individual life of minor importance). 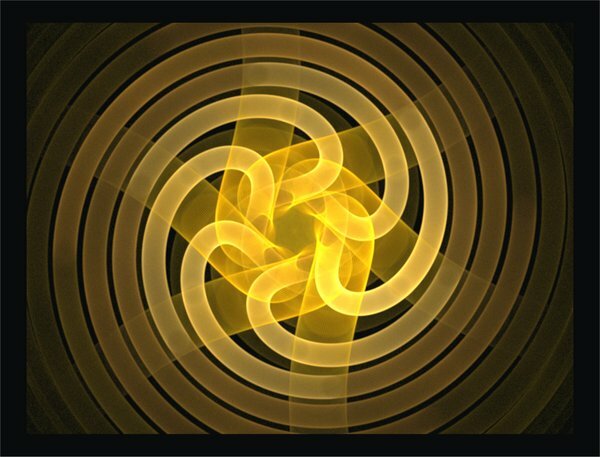 From this insight, Graves concluded that Yellow might be the new Beige, and that the Spiral unfolds in six successive value systems and repeats itself in a new cycle of another six value systems, although on a completely different level of consciousness. Based on his research results and hypotheses, Graves called the first six value systems ‘subsistence levels’, because in essence they are concerned with having, wanting, getting and acting in such a way to end feelings of shortcoming. The new unfolding value system (Yellow) he calls the “being level’, because in essence it is concerned with being: be with reality as it is and act from the now. 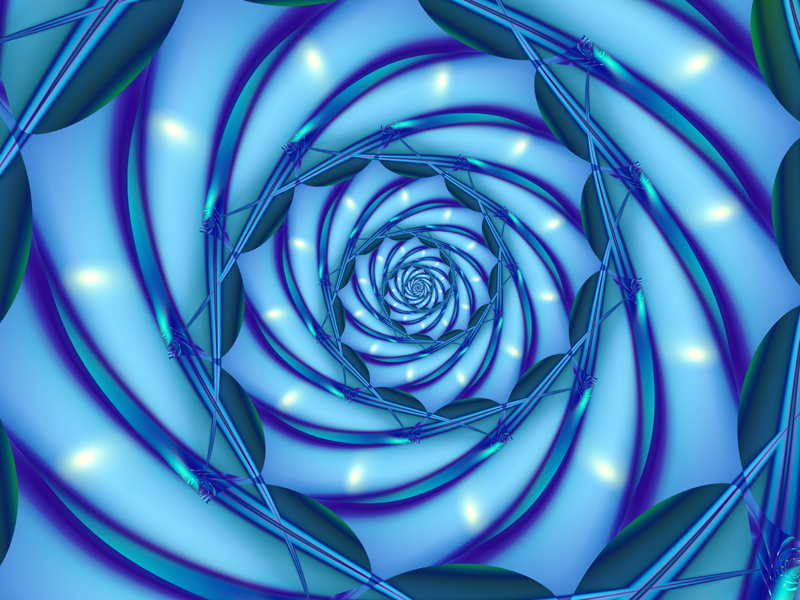 During the 1990s, Beck, Cowan and Wilber confirmed Graves’ findings when they discovered that Turquoise, after Yellow, might be the new Purple (after Beige). By the way, Beck and Cowan coined the terms 1st and 2nd tier (1st and 2nd bandwidth) as a substitute for subsistence and being. Wilber replaced the word subsistence for deficiency. Do you want to know more about 1st and 2nd tier? Article by Chris Cowan about 1st and 2nd Tier. You can also visit our pages with Articles, Books, Links and Films & Videos for more information. Please click here for the next Basic Principle: Some Comments on 2nd Tier.